Have you seen the new You Collection from TierraCast yet? Such great pieces to play with… I love all the positive messages. The rectangular links work great with the 10mm flat leather. I was really drawn to using the Italian leather… not only is it a beautiful, high quality leather, it’s also nice and soft. 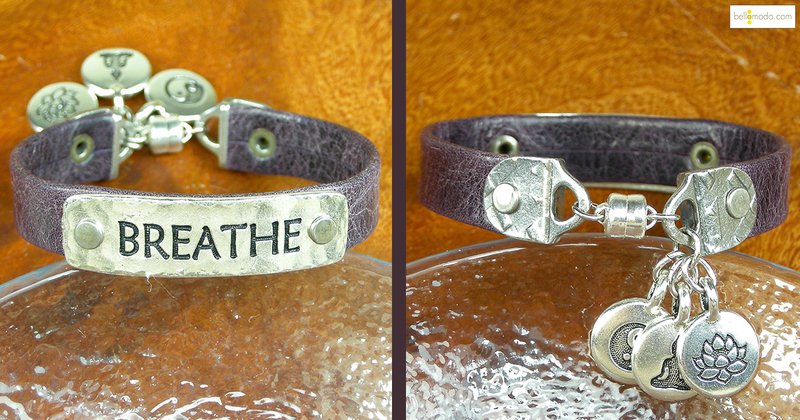 My wrist is 6.25 inches, so I cut the leather to 5.25 inches, which is pretty perfect. It is nice and fitted, if you like it looser adjust accordingly. 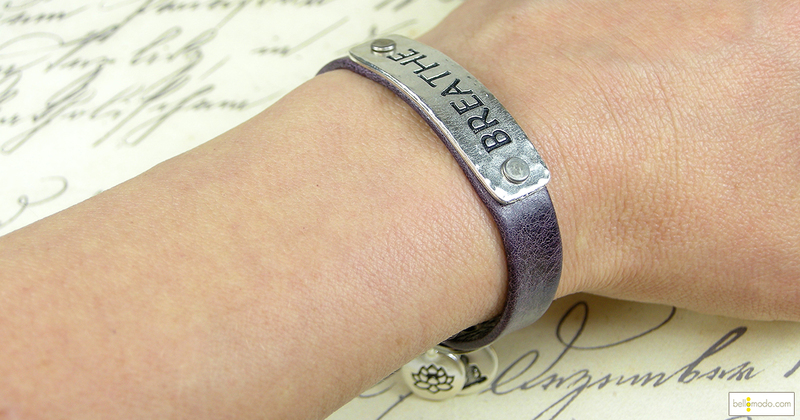 To make this bracelet, you will need a Leather Hole Punch tool, a Nylon Jaw Bracelet Bending Plier, a Leather Cord Straight Cutter and a pair of flat nose pliers. Measure and trim your leather as necessary. Line up your centerpiece and press a dot with a pen in the holes to mark your two spots (or see our Handy Tip below*). Punch the holes using your leather hole punch. Put the two pieces of the rivet set through the hole with the centerpiece in place. Press firmly with the flat nose pliers to compress the rivets and hold everything in place. Repeat steps two through four with the rivets and the Link Strap Tips. Gently and carefully bend the rectangle link using the Nylon Jaw Bracelet Bending Plier so that it conforms to your wrist. Use your small jump-rings to attach the Mag-Lok clasp. Use the medium jump-rings to attach the drops. 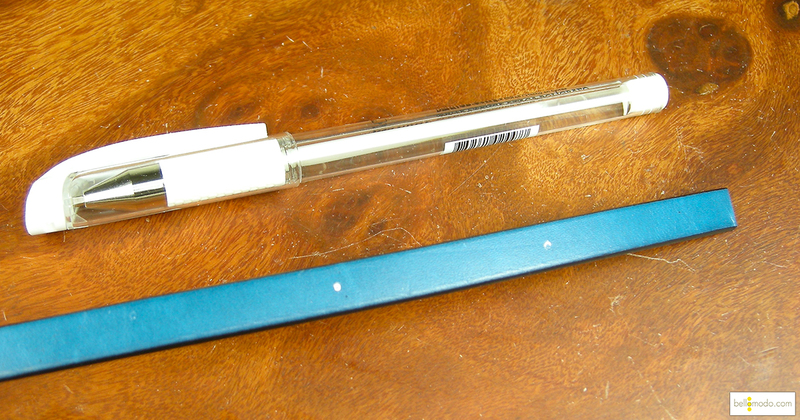 Use a White Opaque Pen on the leather for easier, and more accurate, hole punching! Use a different Link Tip at the end. Use a different centerpiece link (in the You Collection or you can find more options in here). Use a different drop from the You Collection, or other charms from TierraCast and/or Nunn Design. Use a different color or style of 10mm Flat Leather.